Security Corner is an Independent Information resource on the Internet. It originated in 2002 as an experiment and has grown to where today it is - the most visited web site specializing in the subjects of Public Security and Crime Prevention. It has had more than 4.5 million visitors through the more than half-dozen prestigious media that publish Security Corner articles adapted for each magazine, newspaper, or international organization. It is important to emphasize that from its creation, Security Corner is not a company, nor do we sell anything. Likewise, we do not have any political or commercial interests. This is the same program for which the creator was responsible for the last 46 years (as of 2019) for diplomats -- now available, without condition, to anyone interested in the subject of personal protection and in news of Mexico from a global perspective. In any interaction with the criminal justice system, you should obtain qualified legal advice, but there are often problems in addition to legal issues. Security Corner, with its highly qualified team, has a HANDS-ON-APPROACH proven in over more than 7 years of providing an unparalelled non-profit service that has helped more Americans, Brits and Canadians than any other approach. When possible, we've served as channel of communication between authorities and victims of crime, at no cost. In some critical cases, such as kidnapping, we've offered valuable assistance and support. Arising from serious governmental corruption problems, as much in the US Government as the Mexican government, Mr. Mario González-Roman has personally been a victim of kidnapping and torture and his family persecuted. One of Security Corner’s advantages is its great margin of CREDIBILITY. It has no equals. He offers his personal experience online, which inspires virtual visitors to seek consultation, with no charge. On several occasions he has had fortunate outcomes when guiding and supporting kidnapping victims. A recent specific case was a girl of 13 years of age, in a Mexican city, in which a very heavy ransom was demanded. Her grandfather, from Paris, France, wrote to request assistance. The minor was released safe and sound. This is one of several cases in which we have been able to serve the public during the last 7 years. Security Corner represents an altruistic service without conditions. We only ask a written request for assistance and, depending on the case, we are able to help, always involving the police authorities of Mexico. We have an excellent work team formed as a result of former institutional connections of Mr. González-Roman with the Government of Mexico and private industry. They have been collaborating to give an incomparable image to the pages of Security Corner, without receiving any economic compensation. These are volunteers who provide their time, experience, anonymously. Among these, we have a doctor in psychiatry with specialty in criminology, ex- academic of Harvard University. In addition, outstanding members of the Mexican Foreign Service. Also, a lawyer, former and currently active law-enforcers, a psychotherapist with a specialty in children and family unity & psychologists with specialty in graphology, experts in military security training, a specialist in economic geography in the process of obtaining a doctorate, and countless other allies who try to give us the best, most up-to-date information to satisfy our growing readership. The President of SecurityCornerMexico.com is Mario González-Roman, who from April 2, 1973 to August 10, 2001, worked in the U.S. Embassy in Mexico. He is now retired from the U.S. Civil Service. He was awarded four honorary recognitions by the Department of State and his responsibility included serving as liaison between the Secret Service and the Presidential staff during the visits of U.S. Presidents and Secretaries of State to Mexico. Through the Diplomatic Security Service, with the support of the Mexican authorities, he was responsible for the official protection of the personnel and facilities that included the Chancery, 20 Consular agencies, 9 Consulates and 10 Consular Agencies throughout the Mexican Republic. He has served as an Adviser to the United Nations - UNSECOORD- and was the creator of the Culture of Prevention and Safe Travel, through his web site, in 2002. He has broad experience serving as a connection between police departments in Mexico and the U.S., with responsibility for developing strategies and for analysis of information about hostile activities threatening national interests. Mr. González-Roman has an Associate degree in Sciences from Compton Junior College in the Los Angeles area, California. A summary of his professional career, including a large gallery of photos with Presidents of the United States, is available in PRESIDENTIAL GALLERY. Please visit above page to learn all details about his 46-year experience in the areas of Public Safety, Crime Prevention and Personal Protection. We exercise our freedom of speech and write about the subjects that we choose, without any form of pressure or influence by anyone. In our quest to help the Expatriate community in Mexico we have created this new website, a 100 % Community Service. Many of our more than 30 articles online are edited by our readers. The whole program has been financed completely by U. S. taxpayers money received from U. S. Civil Service in the form of Mr. Gonzàlez-Romàn's pension. These are his son, Antonio González Peña, PhD in the area of Development of Humnan Genome. He received his doctorate degree in University of Colorado at Boulder, where he currently works as a Teacher. At the same time in California State in San Diego. He is a former full-time instructor in the University Iberoamericana, Santa Fe, Mexico City, in the School of Electronics and Communications Engineering. Also on the webmaster team is his wife, Ing. 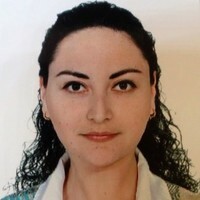 Lucia Cázares Gómez, who works for the oil company Schlumberger Co. in the U.S. They are both originally from the D. F.
Ms. Vera is a former tenant in Minatitlán 12, Roma Sur a not for profit altruistic program supporting gender causes recommended by prestigious universities. Lodging is exclusive for women working professionals, female postgraduate students. Finance specialist with a strong focus on capital budgeting and financial models, has completed successfully the level I in the CFA program as of Dec '11. Currently, Analyst in the International Public Finance Area for Fitch Ratings. Lic. Jorge Cacho Lopez, Master's degree in Criminal Law & Penal Process, Gerona, University, Spain; Attorney at Law, Penal Sciences, National Institute of Penal Sciences (PGR). Graduated as Lawyer in 1976, Puebla State University, Puebla. Past professional experience: 1976 Mexico's Office of the President, National Palace, Mexico City, 1977-1980 & 1980-1982 Mexican Navy, Legal Department; 1982-1984 Mexican Secretariat of Communications and Transport; 1984-1985 Federal District Attorney (Procuraduría General de la República), 1985-1986 Federal District Attorney assigned to Oaxaca, Oax. ; 1987-1990 Department Chief, CONASUPO in Tlalnepantla, State of Mexico, 1991-1992 Prosecutor, Mexico City's District Attorney Office; 1992 Sexual Crimes Fiscal, Mexico City's Attorney General'sd Office (PGJCDMX); 1993 Judicial Processes, Federal Attorney General's Office in Tijuana, BC; 1994-1995 Chief of Investigations, Mexico City's16th District Attorney's Office in San Juan de Aragon; 1995 Coordinator of Investigative Agencies Assigned to La Villa & Magdalena de las Salinas Hospitals; 1996-1997 Federal District Attorney's Office (PGR) assigned to the 7th Court; 1998 Federal District Attorney Assigned to Chihuahua State; 1999-2000 Director, Police Academy, Ecatepec Municipality, State of Mexico; 2001-2005 Federal Public Defender in Sonoyta, Sonora, Federal District Attorney's Office (PGR); September 2012 to Date: Supervisor for the Mexico City Coordination of Public Safety and Attorney General's Office GAM-3, CUH-7, CUH-4, VC-5 & COY-2 in these political delegations: Gustavo A. madero, Cuauhtémoc, Venustiano Carranza & Coyoacan. P R O F E S S I O N A L background, From 2009 to Date Assists in fund-collection and psychological attention to indigenous communities associated with Kalli-timochiasque "Casa de la esperanza" in the mountainous area of the State of Puebla (Sierra Norte). To date is the Principal of an Academic Institution located in Lomas de Chapultepec, Mexico City, owned by Grupo Salinas. From 2009 to 2012 Technical Director and Elementary School Teacher in the Centro Comunitario Acércate. LIC. JUAN ERNESTO MADERA PRIETO is a former Senator, Federal Congressman and Political Representative from Chihuahua State, his place of birth. Juan has a Master's degree in Public Administration. In addition, he is a lawyer graduated from Mexico's National Autonomous University (UNAM), with postgraduate specialization in International Relations & Sociology. He is fluent in Tarahumara, Spanish (both his native tongues) English, French and Italian. In the past he has held important positions in the Mexican Chamber of Deputies, as President, Consular and Diplomatic Affairs, headed the departments of International Trade, Improvement of Rural Communities, Secretary of Industrial Development, Tourism, Population and Migration. In his long political has assisted Mexican Deputies, Senators and Governors, many luminaries in politics within the PRI, accomplish goals on behalf of Mexico. Currently, Lic. Madera is an active member of Mexico's National College of Social and Political Sciences, National Political Institute of Public Administrators, National Federation of Lawyer's Colleges and Boards, Coalition to Defend the Rights of Mexicans Residing Abroad and National Forum of Legislators. Juan Ernesto is author of three books: “Prisma Político”. La reorganización del PRI (1984); “Jornada Blanca”. La Lección de la Elección (1990); and “Los Convidados de Piedra”. Mexico's political transition (published by the media). In addition, he has directed TV programs specialized in political journalism. Has served as editor and collaborator in several newspapers of national distribution and magazines. Has served as a speaker for many organizations and universities in Mexico and the USA. He has been distinguished as "Man of the Year by the Chicano Association in Los Angeles, California and as President of the Mexico-US Friendship Committee. Juan Ernesto has assisted the President of Security Corner in Mexico from 2008 to date accomplish many altruistic goals. Among these, do what will be necessary to make justice in the case involving Mr.José Esparza, a United Airlines employee with dual citizenship, who to date has been ignored both by the US and Mexican Governments. From October 4, 2010 to date Lic. Juan Ernesto Madera Prieto works as President Attache of the Binational Migrants' Association. Sylvia Longmire is an editorial contributor with Security Corner in Mexico. Sylvia is a [medically] retired Air Force captain and former Special Agent with the Air Force Office of Special Investigations. During her eight years with AFOSI, Sylvia conducted numerous criminal investigations and worked extensively in the fields of counterintelligence, counterespionage, and force protection. During her last assignment, Sylvia worked as the Latin America desk officer, analyzing issues in the US Southern Command area of responsibilty that might affect the security of deployed Air Force personnel. From Dec 2005-Jul 2009, Sylvia worked as an intelligence analyst for the California state fusion center and CalEMA's Situational Awareness Unit, focusing almost exclusively on Mexican drug trafficking organizations and southwest border violence issues. For the last five years, she has regularly lectured on terrorism in Latin America at the Air Force Special Operations School's Dynamics of International Terrorism course. She holds a Master of Arts degree from the University of South Florida in Latin American and Caribbean Studies, with a focus on the Cuban and Guatemalan revolutions. Sylvia and her husband co-wrote an article titled "Redefining Terrorism: Why Mexican Drug Cartels are More than Just Organized Crime," which was published in Henley-Putnam University's inaugural issue of The Journal of Strategic Security. She also recently wrote an article titled "Al Capone's Lessons for Today's Cartels," which was featured on the cover of Homeland Security Today magazine's December 2009 issue, and has been a guest on the Bill Handel syndicated talk radio show. Sylvia is currently an independent consultant and freelance writer, and contributes regularly to Examiner.com and www.MexiData.info. IMPORTANT: Opinions and articles by Counselor Mendez Lugo published in SecurityCornerMexico or any other news website do not represent an official point of view or views of the Mexican government. To date: General Director of America Sin Muros, a not-for profit organization specialized in providing assistance to immigrants in Mexico; Currently retired from the Mexican Foreign Service as a Diplomat in Dec. 2015. Among other diplomatic missions in his professional past: Mexican Consulate, Chicago, Ill., U. S. A.; August 22, 2012 to Dec. 2013: Mexican Foreign Service, based in The Secretariat of Foreign Relations (SRE), Mexico City. August 24, 2009 to August 20, 2012: Counselor for Economic Affairs and Press Relations at the Mexican Embassy in El Salvador, San Salvador,C.A. ; October 2006 — July 2009: Mexican Consulate in Tucson, AZ, USA. Deputy Consul of Mexico, supporting the Head Consul to supervise several areas of the Consulate among them, the Department of Documentation for issuing Passports for Mexicans and Business Visas for foreigners. Trade Promotion and Academic Relations. (Jul/2004-Oct/20th 2006) Consulate General of Mexico in San Francisco, Press and Spokesperson (August 2001-June 2004), Trade and Business Promotion Consul. (June 1996-July2001). Consulate General of Mexico in Atlanta, Press Attache and Academic Liaison. (02/1993-05/1996) Ministry of Foreign Affairs (SRE),Press and Public Relations Department. (04/1992 -01/1993)Press and Academic Attache, Consulate General of Mexico in Montreal, Canada.(09/1990-03/1992). Adviser, Mexican Ministry of Foreign Affairs SRE Research on energy and oil. Analysis of schemes for energy privatizations regarding alternatives such as leasing, joint ventures, foreign loans and lending. (04/1987-12/1988) Adviser, Mexican Ministry for Trade and Industrial Promotion. (1974-1990) Full Time Associate Professor at Autonomous Metropolitan University (UAM) Mexico City, Social Science Division and partial on leave period. EDUCATION:(1981) Sussex University, UK Master of Philosophy, Development Studies. (1977-1978)Central School of Planning, Warsaw, Poland, Diploma in Educational Planning Bachelor of Arts, International Relations (1976) UNAM, Mexico. PUBLICATIONS: Editor of several books regarding small industry and globalization, tourism, education and employment, indigenous rights, Mexico-US relations, Canada-Mexico relations, Mexican migrants in the USA, higher education and regional development, Mexico, US and Canada Higher education Accreditation, Standards and Certification. CONFERENCES AND INTERNATIONAL CONSULTANCY:Speaker in Mexican and US Universities for promoting needs of small and medium firms. Work trips in Sweden, France, Italy, Poland, Nicaragua and Costa Rica. Adviser for Pan - American Health Organization. Research at University of Lund, Sweden. Consultant for the World Bank and Mexican Ministry of Labor (STPS). Consultant for Center for Educational Research and Innovation-OECD in Paris. Over the course of our 8 years we have joined forces with several organizations committed to keeping the international community informed about what’s new inMexico, with the idea of promoting our country as an ideal place for investments and tourism. Fabiola Fernández Guerra, Director General of Creativos 11.11, represents an agency specialized in Public Policy Communication. Creativos 11.11 is a company that offers media products with a social change focus. It has been contracted by Security Corner to present our institutional image, which for us is the Culture of Prevention and Safe Travel, through our site. Mr. Agustín Barrios Gómez is the President of www.SolutionsAbroad.com, established in 2000. Originally from the D. F., he has spent much of his life abroad, because his father was an ambassador for Mexico. He grew up in Canada, Switzerland and the USA, and is a graduate of Georgetown University. He worked for Procter & Gamble and served as Advisor to the Secretary of Public Security of the D. F. He has a master´s degree from University Rey Juan Carlos in Madrid, Spain, in the future of North American integration. Working independently, SolutionsAbroad has helped Security Corner from its beginning. According to Google, our security page is the most viewed such page in Mexico. Daily administrative responsibility for Solutions Abroad is the task of Mr. Alan Skinner, cousin of Agustín. You could say that Alan is symbolically a citizen of the North American Free Trade Agreement, as a product of his upbringing and professional training. Born in the U.S., he grew up in Canada and was educated in Business Administration at the Universidad Iberoamericana in Mexico. Alan has extensive experience in multinational companies, and is an expert in marketing, finance,and international trade. He speaks English and French and is the CEO of SolutionsAbroad.com. In May 2007 Security Corner in Mexico united forces with the owners of Insidemex.com, the English Speaker's Guide to Life in Mexico. Aran and Margot Shetterly are the owners of the English-speakers Guide to Life in Mexico in Insidemex.com. They are pillars in the success of making our programs available to the public, having published Security Corner articles from April 2007 to the present. According to Latina Lista magazine, Margot Lee Shetterly had 4 great loves before she met Aran - business, writing, traveling and learning languages. Aran shares the same loves. From its launch in 2006, the magazine Insidemex was distributed in a printed version as a means of reaching broad national market, with 60,000 copies monthly. At the same time, hundreds of thousands of .pdf copies have been downloaded from their site. From the initiation of their printed version, they have been a platform for the English-speaking public. As of January 2009 Insidemex.com was launched in its digital form, Version 2.0, in an ambitious project that converted it into an incomparable virtual example. Lic. Jhovanee Monge de Rottigni is the owner of Homesliving.com, who during last the 8 years has published this luxurious magazine, covering the areas of Puerto Vallarta, Riviera Nayarit, and the Cabos.The magazine specializes in the subjects of real estate and tourism in these areas that have a large and growing presence of foreigners. From mid-2008 Homesliving.com began to publish our articles. There are two online, one on Residential Security and another one on Natural Disasters. Click on above diploma to make it readable- Additional information, HERE. Thanks to Jhovanée, who was President of the Committee of COPARMEX, we were invited to a well-run conference in Vallarta that received ample coverage in the local media. Protocolo-Foreign Affairs & Lifestyle is a magazine founded and directed by Wendy Coss y León, which has been published for 8 uninterrupted years. It is distributed in a quantity of 25.000 copies, certified by Lloyd International. You can buy it or order it in Sanborns stores. Protocolo-Foreign Affairs & Lifestyle is a specialized quarterly magazine covering the subjects of business, foreign trade, and diplomacy. It is distributed on a national level in embassies, offices of foreign trade, airports, restaurants, hotels, private firms, governmental institutions, and universities.Their Special Editions are designed to impart (through interviews with Ambassadors, Governors, and high level officials) the important work in the economic, cultural, social, and political life of each nation and/or organization, to achieve greater identification among its citizens, as well as attracting new investment and disseminating information about projects of interest. In January 2009 Protocolo.com .mx virtually has available two previously-unpublished articles online under the titles of Security and Protocol in Presidential Visits andTaxis: Travel Safely, whose author is Mr. Mario González-Roman. Soon it will have a new one in its upcoming edition, Kidnapping and the North American Free Trade Agreement, already online. - Member of the Round Table Group of Washington, D. C.
Both organizations are formed by experts with diverse areas of specialty, among whom are included former presidents, ambassadors, and personages in public life and private industry around the world. The number of Mexicans that have been invited is small. Both organizations serve as forums for international discussions on a great variety of current subjects. On September 11, 2006, as a result of the massive protests calling presidential election fraud and the taking of the streets of Paseo de la Reforma by supporters of Lic. Andrés Manuel Lopez Obrador, and having a critical and constructive position to the one offered by the U. S. Department of State, to date, one of the most prestigious newspapers of the world recommends Security Corner in Mexico. Above links are in the Washington Post's Travel Sections, International Destinations. Enjoy Allo' Expat information & communities throughout the five continents. With over 170 users’ nationalities, 141 countries covered – We help Connecting the World. Benefit from our country message boards where you can share personal tips and advice. Expatwomen.com was created by two friends, Andrea Martins and Jill Lengré. Their dream of connecting Expatriate Women worldwide was a result of their combined 20 years of experience living overseas. ExpatWomen.com's mission is to help you succeed overseas by providing you with a one-stop website to share stories, network globally, develop personally and find the best resources. Our vision is to become the #1 website for Expatriate Women worldwide. But we need your help... please visit often, join in on our communities, sign up to our newsletter, send us your ideas and feedback, help us find useful website links, and please tell as many Expat Women and organisations as possible.Thank you in advance for your tremendous support and our very best wishes for your life overseas! The most important credit that our articles have is that they are edited in English, the great majority by foreign residents that have adopted to Mexico as a new home.Among these there are ex-members of the foreign service, housewives, corporate executives, students, teachers, and tourists. Normally they do this spontaneously and they usually ask for anonymity, because they are in disagreement with the negative image of Mexico that is sometimes promoted abroad. We consider these volunteers to be an essential part of the program of Security Corner in Mexico. With 43 years of experience in 2015 under our belt, and with a rich set of ingredients, our philosophy is based in a simple fact: It is much more practical to offer programs aimed at Prevention than to concentrate on solving problems after they have happened. Thus, we have described the best way use public transportation, to find a taxi, to select a place to live, to travel by highway. Our program includes a broad range of opinions, including especially the opinions of our readers, which we respect especially. At the end of the day, it is our readers who decide what opinions to accept, in accordance with their own ideals, their family, their corporate interests. We know that Mexico, like many other countries, suffers serious indications of corruption. Because we offer online the professional background of Mr. Mario González-Roman, our readers feel confident in writing and casting their vote for achieving the best possible communication with our authorities. We serve as bridge of communication for the better understanding between our readers and our public servants.We believe that the solution to the serious problems of Public Security begins at home. We want to convince those who believe in us that basic education and family values are the most powerful weapons that we have in Mexico. The success of our schoolteachers, police, and members of the Armed Forces in the work that society has entrusted to them-- with the rickety budgets they have in these complicated times for the world economy -- all depends on the upbringing that we give our children.We call on business leaders and people of good will to draw attention to a strategy of relevant work that can impact the National Agenda. In 2010, it has been 8 years since we initiated this project. It was an experiment. Today we know for sure, without fear of equivocation, that it works and we offer it for your consideration.Without being rich, I have spent out of my pocket, with pleasure, more than $ 200,000 U.S. in acquiring computer and communications equipment, payment of services for obtaining information, and travel inside and outside the Mexican Republic. I believe that we have arrived at the moment at which we work together to build something that will be lasting and will bring concrete results. We feel that the wide distribution of the Programs of Security Corner is a gold mine, ready to be exploited. In fact, the National Travel Association of the US is analyzing this same proposal and if it is accepted, it will be a great success for the National Agenda. Nevertheless, we are Mexicans proud of our country and we have the confidence that visionary business leaders - without regard to their nationality – who are committed to Mexico and to the promotion of truth, to improve understanding, will back us and invest in this project. What we propose is that, in coordination with the Federal and Mexico City Governments we have continued cooperation to develop specific strategies for widespread diffusion of the Culture of Safe Travel and Prevention, using the content of the Security Corner website, developing combined plans involving foreign investment for our compatible groups, for audio-visual programs in English aimed at the International Community. FEDERAL AND MEXICO CITY GOVERNMENTS WORKING .. TOGETHER. We seek the attention of the owners of MEDIA companies for the production of videos, MASSIVE programs that can showcase the Culture of Safe Travel and Prevention in a way that is versatile and even entertaining. Go to our ENGLISH page and try our videos. For years Mexico has been subject to expensive campaigns abroad that persist in affecting our image as a country. The News! Section of our site represents something like what we called, in my work in the American Embassy and later in the UN, an Executive Summary - Security Briefing- for the attention of the Head of Security and other high officials. Now it is freely available to our visitors. It is necessary to recognize that we have high levels of poverty and increasing problems of unemployment. These generate delinquency, which is better organized every day. Also we must recognize that thanks to the countries of the so-called First World, Mexico is entangled in a violent war against organized crime that costs the lives of innumerable young men and women, members of the Armed Forces and of the police authorities, and jeopardizing the ideals of a safe country. To accuse or to identify Mexico as a world champion in corruption is valid, nevertheless we see in the NEWS! Section that we are not alone in this world-wide problem. We must always see first to our own national interests before any imposed on us by foreign governments. In all these programs, we would use the global vision that unfortunately we often lack in Mexico. The idea is to begin by acknowledging the serious problems of unemployment, poverty, and lack of efficiency of our authorities that do what they can with problems inherited from previous governments, but also simultaneously to document with reliable facts that we are not unique in these problems. These problems, including CORRUPTION, are common in nations called First World countries. Their governments magnify our reality to harm our image, to benefit the tourism industry, the businesses beginning from September 11, 2001.